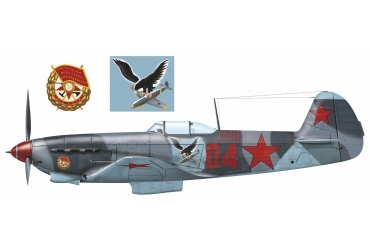 The Yakovlev Yak-9 is considered to be the most important Russian single-seat fighter of the Second World War. 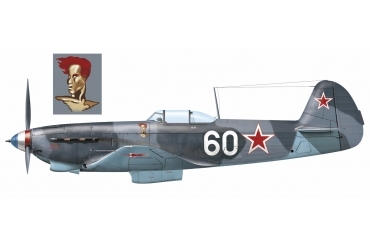 The first Yak-9 was derived from the Yak-7B , which went into service in 1942. Yakovlev partially re¬designed the wings to make room for larger fuel tanks. 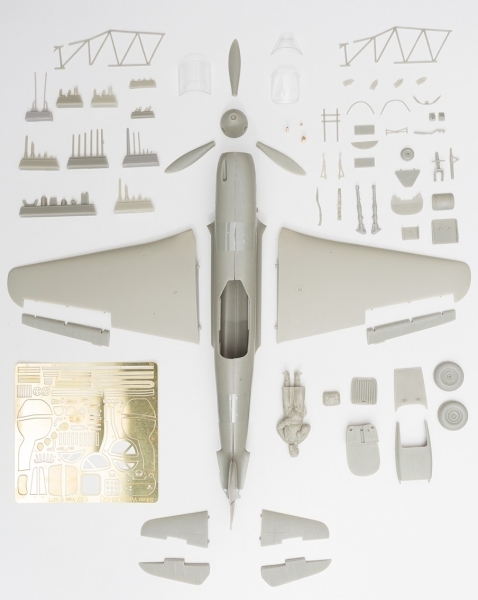 The cockpit was moved back slightly, and the position of the radiator on the belly was changed. 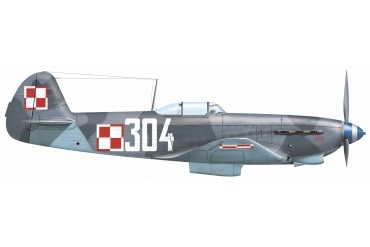 Powered by the same engine as the Yak-7, the new type went into service in August 1942. 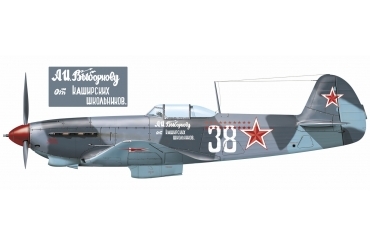 It became the most-produced Russian aircraft apart from the Il-2 Stormovik. 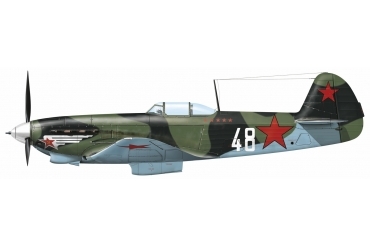 The Yak-9 was able to outfly the Me 109G, which it met over Stalingrad in late November 1942. 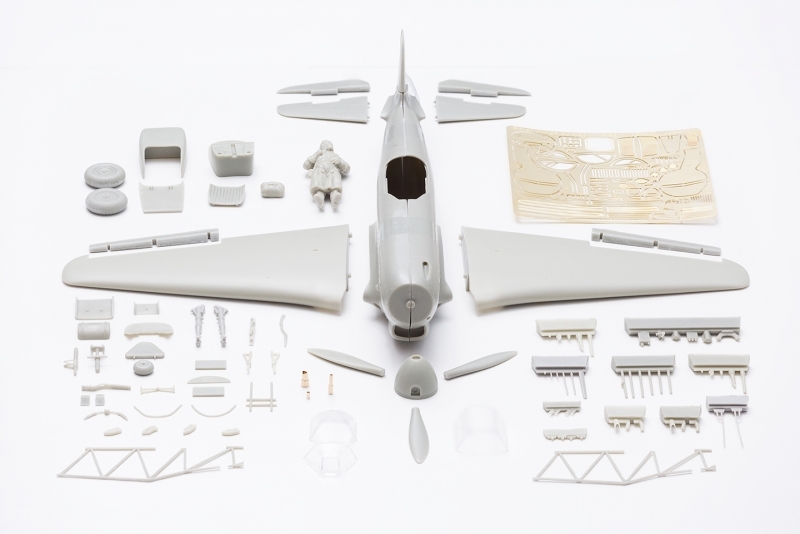 A record 16,769 Yak-9’s of all models would be built. 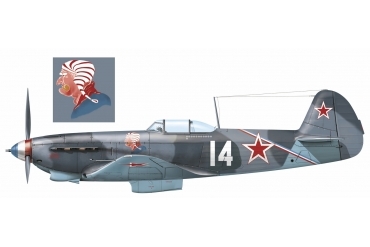 Improvements continued to be made: the Yak-9M had another machine gun (20mm cannon and two 12.7mm machine guns), while the Yak-9B could carry up to 1,325 pounds (600 kg) of bombs. 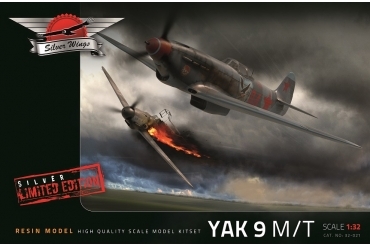 Two other important versions were developed, the Yak-9T and the Yak-9D. 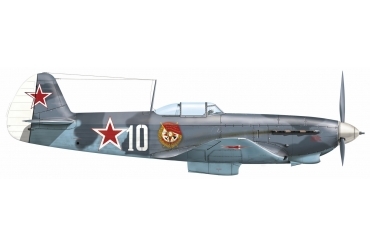 The Yak-9T had a 37 mm Nudelmann-Suranov cannon with which to attack tanks. Several versions of the Yak-9 equipped foreign units fighting in Russia, including the Polish 1st Warsaw Fighter Regiment and the Free-French Groupe de Chasse Normandie-Niemen, whose pilots preferred the Russian fighter to the lend-lease American Bell P-39 Airacobra and the British Hawker Hurricane. The fighter was very popular with its crews, being particularly manoeuvrable at low altitude and thus more than a match for its more powerful adversaries. But the major virtues of this excellent fighter were the fundamental qualities of safety and basic simplicity. 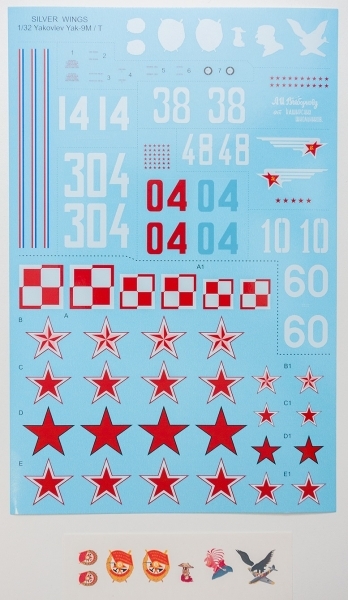 Production ceased in 1947, but not before a number of communist-bloc countries took delivery of later models. There are several static Yak-9’s in private hands today, and beginning in 1996, several airworthy Russian-built replicas have been built. Nicknames: Frank (NATO code name); Yastrebok (“Little Hawk”); Ostronosyi (“Sharp Nose” — Generic name for all inline-engine powered Yak fighters).